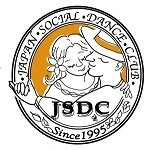 Private Lessons - Japan Social Dance Club (JSDC) is a professional dance studio specializing in American Style Social Dance. Private lessons may be taken individually or as a couple and are tailored to your individual needs. They help you progress faster and learn the dances more thoroughly. Lessons are offered as 25 or 50 minute sessions and scheduled with one of our instructors. JSDC staff is available as your dance partner for your private lesson.